A conversation with Tres Roeder, president and founder of Roeder Consulting. In this conversation, I had the pleasure to chat with Tres Roader, President and Founder of Roeder Consulting, about what it takes to achieve real and meaningful change and project success. Tres reveals why successful project managers need more than great technical skills. They need to have A Sixth Sense for Project Management®. This means having skills for self-awareness, self-confidence and leadership, great communication skills to build genuine team buy-in and skills to build/ maintain executive relationships. During our discussion, Tres shares with us his insights, approaches, and practical tools from A Sixth Sense for Project Management®. This is also the subject of his upcoming book. Tres Roeder is a rising leader in the project management profession and is frequently asked to speak on topics related to A Sixth Sense for Project Management®. He has led major consulting engagements in areas such as corporate strategy, operations improvement, process improvement and implementation. Industry experience includes serving as Director of Business Process Improvement at American Greetings and prior positions at RR Donnelly and Toyota Motor Sales USA. He is a former consultant with Booz Allen Hamilton. He founded Roeder Consulting in 2001. You say that successful project managers need more than great technical skills. Yet the majority of training available today focuses on these types of skills. Roeder Consulting takes an entirely different approach compared to other consulting organizations and your training focuses exclusively on what is referred as the “soft skills”. What was the motivation for taking this approach? You call the knowledge, abilities and magic required to manage the human side of projects A Sixth Sense for Project Management. What was the background and motivation for developing the Sixth Sense for Project Management framework and why is it important that project managers understand this concept? Give us a high level overview of the Sixth Sense for Project Management and its 6 components. Would you walk us thru each of these 6 components? You say: Getting emotional commitment and mental focus on your initiatives is critical to project success. How do we Earn Buy-In and Win Support (Buy-In) for our projects? You say: Project leaders need teams with members who are whole-heartedly engaged, collaborate well, are energized, and have a genuine desire to “win” over the entire project. How do we Develop Collaborative, Winning Teams for our projects? 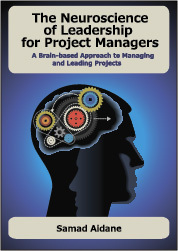 You also help project managers learn how to communicate with Competence and Confidence. What are the main topics you focus on in this area? You also believe that to be successful, project managers need to learn how to present their messages clearly, concisely and with authority. What practices do you recommend that lead to Presenting with Precision and Authority. You help Project Managers understand power and influence and how to effectively lead projects based on the situation. You teach what you call Dynamic Leadership Skills For Better Project Results. Can you tell us a little bit about your approach? You developed the “BOWTIE” model to help project managers and their teams implement strategy. How to you approach Strategy and Change Behavior. What key takeaways you’d like our listeners to take from our conversation? Mr. Roeder is a PMP and a member of the Northeast Ohio Chapter of the Project Management Institute. He has a BA in Economics from the University of Illinois and an MBA from the Kellogg Graduate School of Management, Northwestern University. Mr. Roeder teaches regularly at Baldwin Wallace College in Cleveland. Roeder Consulting is a full-service consulting and training firm with headquarters in Cleveland, Ohio and offices in North Saanich, British Columbia and Boston, Massachusetts. From Fortune 500 clients to mid-size companies, Roeder Consulting provides effective solutions for managing change. Since their founding in 2001, they have helped clients with their important change initiatives, resulting in increased revenues, efficiencies and/or profitability. They have taken some of the specific tools and skills that they use in strategy implementation consulting and adapted and packaged them as training offerings for other change agents, most often for professional project managers. They have a regionally diverse network of experienced consultants and speaker-trainers.